AssetLink Global announced the availability of its next generation AssetPack IoT device family designed for multi-mode simple to advanced tracking and managing of unpowered and powered assets located in harsh, hazardous, and remote regions of the world. AssetLink Global announced the availability of its next generation AssetPack IoT device family designed for multi-mode simple to advanced tracking and managing of unpowered and powered assets located in harsh, hazardous, and remote regions of the world. The AssetPack is a fully integrated device that can be installed quickly on nearly any asset, eliminating the need for complex installation procedures. The device is powered by a solar-recharging battery, engineered to deliver 7-10 years of service life without costly battery changes, even in frequent reporting applications - significantly reducing down-time, and allowing fleet managers to maximize asset utilization. The AssetPack’s robust on-board intelligence allows for a feature rich offering addressing a variety of industry applications from simple tracking to advanced sensor-based and business logic applications. Device configuration is available locally, remote over-the-air (OTA) using a cloud-based interface, as well as an Application Programming Interface (API). Over 28,000 AssetPacks have been deployed in the field and are used to track and monitor equipment in oil & gas, transportation, agriculture, maritime, construction and military logistics applications. This next generation AssetPack is commercially available in a satellite version today. The solar cellular version is available for demonstrations and trials and will be commercially available in the third quarter of 2018. The solar hybrid AssetPack will be commercially available Q4 2018. The AssetPack family collectively offers 100% global satellite connectivity, domestic and international cellular coverage, and a hybrid that combines both cellular and satellite connectivity with on-board logic for least-cost communications. Designed to safely operate in hazardous locations, the AssetPack is certified to US and Canada Classification 1, Division 2 standards, and is field upgradable to ATEX Zone 2 with the simple addition of an impact proof cage accessory. “Many of today's products are limited to a particular reporting profile for a single market application and need batteries changed regularly. 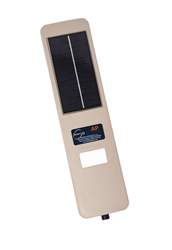 The expansion of the AssetPack family to solar cellular and hybrid options expands this next generation of flexible, robust, long lifetime mobile tracking and sensing platforms. We are now able to offer a range of communications options that enable our partners to effectively and economically solve the most challenging problems, especially with unpowered or complex assets in their fleet,” said David J. Goldstein, AssetLink President & CEO. AssetLink Global will be showcasing the AssetPack at the Geotab Connect 2018 Conference in Toronto, Canada at The Westin Harbour Castle from June 11-13. AssetLink is a leader in satellite-enabled hardware and IoT systems implementation, design and manufacturing. Building best in class GPS satellite, cellular tracking and sensor-interface hardware, and deliver comprehensive hardware, data services and information access to industrial, Fortune 500 and government clients worldwide. AssetLink connects enterprises with their equipment and assets, no matter how remote. AssetLink is focused on partnering with VARs, Resellers, and Integrators to distribute the “Forever, Everywhere” AssetPack (AP) global tracker. If you would like more information about AssetLink Global or the AssetPack product line, please call Elizabeth Beauchaine at (303) 862-8745 or email ebeauchaine(at)assetlinkglobal(dot)com.